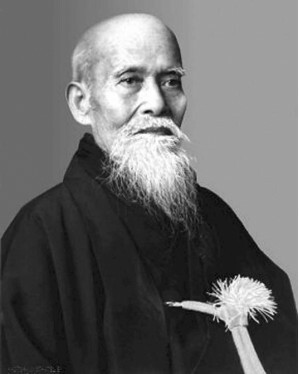 Morihei Ueshiba (植芝 盛平) Ueshiba Morihei was born on 14 December 1883 year in Tanabe, Wakayama Prefecture, Japan . Morihei Ueshiba was a martial artist and founder of the Japanese martial art of aikido. He is often referred to as "the founder" Kaiso (開祖) or Ōsensei (大先生/翁先生? ), "Great Teacher". Morihei Ueshiba studied a number of martial arts in his youth, and served in the Japanese Army during the Russo-Japanese War. 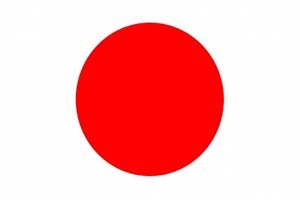 After being discharged in 1907, he moved to Hokkaidō. Here he met and studied with Takeda Sokaku, the founder of Daitō-ryū aiki-jūjutsu. On leaving Hokkaido in 1919, Ueshiba joined the Ōmoto-kyō movement, a Shinto sect, in Ayabe, where he served as a martial arts instructor and opened his first dojo. Ueshiba moved to Tokyo in 1926, where he set up the Aikikai Hombu Dojo. From the end of the World War II until the 1960s, he worked to promote aikido throughout Japan and abroad. Morihei Ueshiba died from liver cancer in 1969. Aikido was created as a synthesis of the martial knowledge , philosophy, and religious beliefs of Morihei Ueshiba. Aikido is often translated as "the Way of unifying (with) life energy" or as "the Way of harmonious spirit." Ueshiba's goal was to create an martial art that practitioners could use to defend themselves while also protecting their attacker from injury. From a linguistic point of view, aikido is 'Way of combining forces'. The term aiki refers to the martial arts principle or tactic of blending with an attacker's movements for the purpose of controlling their actions with minimal effort. One applies aiki by understanding the rhythm and intent of the attacker to find the optimal position and timing to apply a counter-technique. This then is very similar to the principles expressed by Kano Jigoro, founder of judo. Aikido consists of a wide range of techniques with bare hands and arms. The principles for implementation of the techniques with and without arms are the same. Ueshiba founder says "The fight with bare hands and arms is the same." Ueshiba's senior students have different approaches to aikido, depending partly on when they studied with him. Today aikido is known all over the world in a number of styles, with broad ranges of interpretation and emphasis. However, they all share techniques learned from Ueshiba and most have concern for the well-being of the attacker.